The heart and small intestine are the organs that are related to the Fire Element. The worst things to feed your Fire horse are products that interfere with function in the small intestine. Anything that affects the beneficial bacteria in the small intestine will upset the digestive process. High fiber feeds that are hard to digest can also cause problems. Corn, wheat and low quality coastal hay are 3 problem feeds for your Fire horse. Corn has several things going against it. Corn is higher in digestible energy than oats or barely and if fed in much quantity it will give a Fire horse too much energy. The energy of corn is also fast and irregular which can cause the Fire horse to lose focus more easily. Conventional corn has yet another problem. It is almost all genetically modified so it can be sprayed with the pesticide, RoundUp. RoundUp(glyphosate) is claimed to be harmless to humans but it is deadly for bacteria, especially the good bacteria in the gut. With lower levels of good gut bacteria in the small intestine the Fire horse struggles to digest food. Good bacteria are also needed to maintain a healthy intestinal lining for absorbing nutrients and keeping pathogens and toxins from entering the blood. Wheat is another problem food for the Fire horse. Energetically, wheat should be great for the Fire horse. It has a slow, regular energy and the bran and middlings are high in the calming mineral, magnesium. Despite these good qualities many Fire horses do not do well on feeds that contain wheat bran of middlings. If your Fire horse is bloated in the flank area it could be a reaction to wheat products in the diet. Feeds that are difficult to digest, such as high fiber coastal hay, can also cause digestive issues, such as excess gas, in the Fire horse. Fiber is digested in the large intestine but the conditions in the small intestine must be correct to set up the right conditions for the bacteria in the large intestine to thrive. Good bacteria in the small intestine use up oxygen that would be harmful to the bacteria in the large intestine. Anything that causes lower numbers of oxygen loving bacteria in the small intestine will also interfere with good bacteria function in the large intestine. Quality alfalfa hay is generally much easier to digest than grass hay so I have always suggested it the fed to the Fire horse. Unfortunately, alfalfa hay has now been genetically modified to handle RoundUp so it should not be fed to the Fire horse unless you know it has not been sprayed. Fire horses do very well on native grass pasture and quality timothy hay. If care is taken to support the good bacteria in the small intestine they may also handle some good quality coastal grass hay. If you suspect or want to prevent digestive problems then you want to avoid these 3 problem feeds for your Fire horse. Sometimes you may not be able to avoid problem foods so pre and probiotics, combined with blue green algae can be fed to give extra small intestine support. The Fire horse supplement found at www.horsetemperament.com also contains good digestive support for your Fire horse. At Holistic Horsekeeping we have presented lots of information on holistic horse care, nutrition, and five element temperament typing over the years to educate those interested in these areas. On our website, you’ll find books, ebooks, a downloadable course, and audios to help you learn more about holistically caring for your horses. You can also get consults from Dr. Ward or a professional typologist if you need some extra help. Then of course there is the Horse Health Hotline online forum to help you with specific answers to your questions. For advanced students, the Mentoring Program at Holistic Horsekeeping or the Tallgrass online course may be for you. The Mentoring program offers a six month intensive training on a one on one basis with Madalyn Ward, DVM. in one of the following areas or a combination of the three. 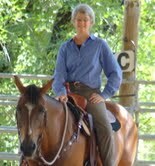 The Tallgrass course, “Understanding Horse Types and Temperaments”, offers a Certificate of Completion for 30 LU’s or 16 CE hours, meets one elective requirement for participants enrolled in the Tallgrass Equine Practitioner Certification Program, and counts as a Level 1 Horse Typing Certification with Dr. Ward’s Horse Harmony Program. Lots of learning to keep your horse healthy and happy! You can get off this list by sending an email to info@holistichorsekeeping.com with UNSUBSCRIBE in the subject line. This entry was posted in Uncategorized and tagged fire horse temperament, holistic horse care, horse, horse health, horse temperament, horse temperament typing, horses on August 15, 2015 by Madalyn Ward, DVM.